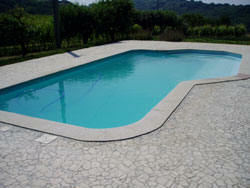 On the hills of Canelli, between Langa and Monferrato (in the Asti area), the Rupestr Farm (2, 2 hectares mainly covered by vineyards) http://www. marketing-rupestr. 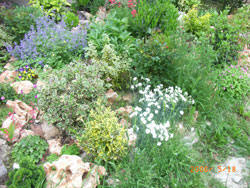 com offers pleasant accommodation, traditional local cuisine andexquisite hospitality. 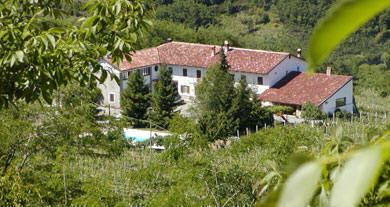 The farm, owned by Giorgio Cirio (in the picture, on the left, with the presenters of the well known Italian TV show 'La vecchia fattoria', a title borrowed from the world-known song 'Old McDonald has a Farm'), enjoys a lovely scenic position on the road that from Canelli leads to Loazzolo. When the sky is clear, the imposing sight of the Alps is visible framed by the large dining room windows. This seats 60 people and is rigorously decorated in Piedmontese style with antique cotto flooring. 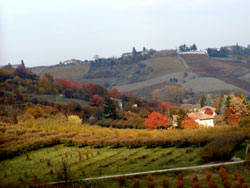 The vineyards produce strong Dolcetto and fragrant Moscato. The bottles produced satisfy the needs of 'Agritourism'. 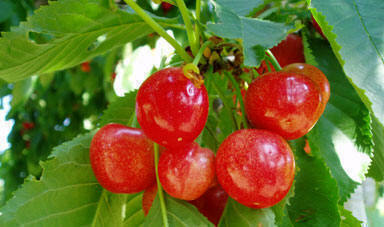 This is a unique Italian brand of ecotourism, which rediscovers the countryside and its typical local products. The vegetable grown on the Rupestr Farm are beautifully preserved in jars: dry tomatoes with genuine 'green' (parsley-based) sauce, pickled courgettes, aubergines and artichokes, as well as hazelnuts, sweet fruit mustard, peach, pear, cherry, apple, quinces and pumpkin preserves and jams. In the restaurant a delicious range of traditional local dished are prepared by Mrs Cristina, Giorgio's mother including Bagna Cauda (a garlic and anchovies dip served with mixed raw vegetables), Agnolotti 'Al Plin' (small handmade Ravioli), Piedmontese Mixed Fried Dish (anything you can think of coated in golden breadcrumbs), Finanziera (entrails stew with sweet and sour vegetables), Polenta with its juicy relishes and Gran Bollito Misto (a selection of fine meats with unusual dips). A fireplace, earnest wine and Giorgio's homely and warm hospitality will create an atmosphere of a time long gone. Giorgio Cirio will offer you comfortable and simple rooms in a light cheerful surrounding created with antique materials according to tradition. Agriturismo Rupestr is located in Canelli, in an area famous because of 'Asti Spumante' and 'Moscato dAsti', two Italian world-known dessert wines from Piedmont. Canelli is the world capital of Spumante and wine machinery, and also an internationally renowned centre for Italian cuisine. Within a 40 Km radius, you will find some universally recognised unique products with excellent organoleptic properties.